The start of September means we’ve almost been up and running for a whole month – and what a month it’s been! We hit a big milestone for a client in week 1, which was a good excuse to celebrate with cake! Arley Arboretum & Gardens have been a Headdesk (Hannah’s previous business) client for several years. We manage all their design work and social media marketing and we’re proud to have been with them every step of the way since we first started their Facebook page. On the day we went over to see them and tell them about our Studio B61 launch we also had some exciting news for them – their Facebook page reached a milestone 10,000 Facebook likes! We’ve built their page up focusing on a targeted, local audience that fits with the family friendly nature of their venue. Likes and follower numbers aren’t everything, but because their audience has been closely aligned to their strategy from the beginning, their Facebook page has now become a powerful marketing tool to attract new and repeat visitors every season. 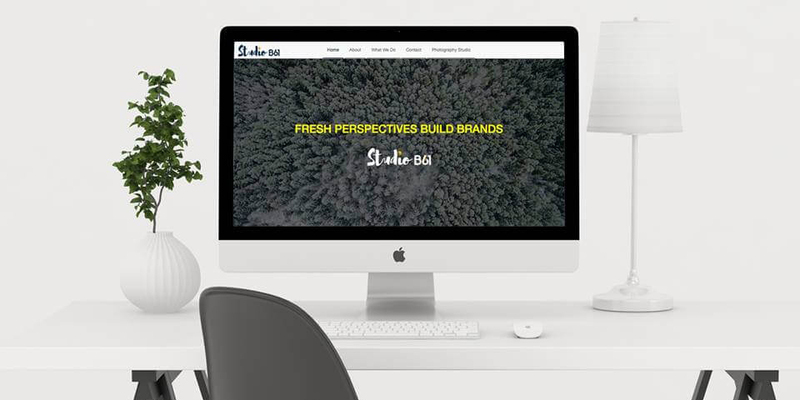 We love helping people grow their brands, so launching our own was a brilliant moment for us. We revealed some of our branding before we launched, but it all came together when our website went live at the start of August. Sleuth is the collective noun for a group of bears, and there’s a whole trail of them across the city this Summer! The public art trail is to raise money for Birmingham Children’s Hospital and follows the success of 2015’s ‘The Big Hoot’ owl trail across the city. There’s an app you can download to track the bears and some of them unlock special offers for local businesses and attractions. A meeting with a potential new client took us to Boldmere and we were able to see one of the bears there. Our PR streak continued as the Birmingham Mail picked up our tweet about the bears and featured us in their round up! There’s been plenty of creative work to keep us busy this month, from designing the first Halloween advert of the season (yes, in August!) to designing and printing driveway banners for the local prison. Bison Grips sell handcrafted wooden training products that help people develop grip strength for sports like bouldering and climbing. They also sell a range of clothing which we print for them. Earlier this month we had them in the photography studio to create a range of product photographs and flat lays they can use on their website and Instagram. We also sent an interesting project off to print a few weeks ago – the artwork for the cover of historian and author Fen Flack’s sequel to last year’s book ‘Ironside’. After designing the cover for her debut novel last year, with the help of illustrator Bhavin Mistry, we were pleased to help design the artwork for the sequel ‘Edward the Exile’. Ironside is available from Waterstones. It’s been a busy first month and we’re looking forward to even more creativity in month 2, when we’ll be welcoming an intern on board and starting some new marketing and branding projects. Previous post7th August 2017Studio B61 officially launches!